This cheats are for cheat engine users only. Nothing is guaranteed, it takes time and patience to do this cheats. You can watch the Video Guide if you don’t have the time to read. 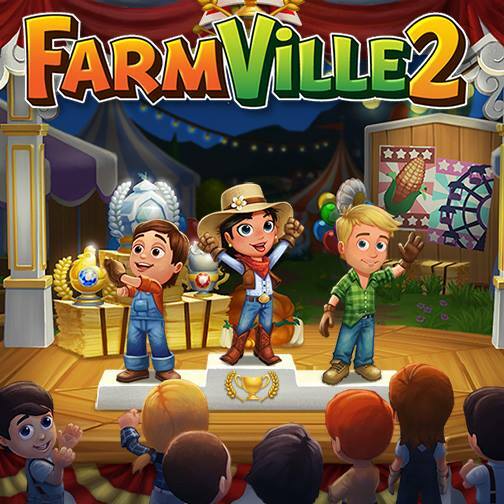 All of these existed since the first release of FarmVille 2 on Facebook, nothing is really new just a refined guide for you. Go Back to Cheat Engine. Go to File > Open Process > Select the last Flash Player Plugin > Click Open. Basically, what we did is to change the value of HarvEstate Manor to 1 coin and sold it with the value of 1,000,000 coins. Refresh the page and check if the cheat works properly. Note: Please don’t be greedy and only use the amount you need because it might mess up your game and your account will probably reset to level 1. I counted this as a cheat because now that you can have millions of coins, you can buy “Hay Wagon” in General Store > Decoration Tab. This is item worth 397 EXP when sold, just do a buy and sell repeatedly and you will level up really fast! This Trick is for low levels only. Watch the Coin Cheat Video around 4:10 to see the result. Tip: Adjust the coin value of Hay Wagon to 1 coin. Just search 45000 (Scan Type is Exact Value and Value Type is 4 Bytes). Open FarmVille 2 on Facebook go to General Store > Decoration Tab > Buy "Sky Blossom Kite"
Go Back to Firefox and FarmVille 2. Select the Sky Blossom Kite item and move it to your inventory. You will see that Fertilizer Bag Pack 50 is stored back to your inventory. Usually, the Flash plugin will crash. Reload the page and check your inventory you should have the item. Note: You might notice that consumable items takes up certain amount of space. Example Water uses 28 spaces, the codes for the item you're making should take the same amount of space. (Example Berry Custard takes 28 spaces). This is just some of the cheats on FarmVille 2 using Cheat Engine. I prefer this than downloading trainers because some of them has bloated advertisement and worst some are scam with viruses on it. FarmVille 2 has been release on 2012 and cheat engine tricks still works. Let’s just hope they don’t shut it down. If you have the money please support them by buying farm bucks. hi, I download cheat engine on my mac but I cannot open the process I got an error. thanks. Do you have a Cheat Engine for MAC? I tried to use the link above and when I went to open the file it indicated that it was a Windows file and could not be opened on a MAC. The trick with the Manor to sell it for more money doesn't work anymore. All the "old"tricks to make more money don't work anymore. You can buy for free, but change the value for selling is over. The state fair: don't know if i am missing something, is there a cheat code for adding points in the state fair? playing the last 2 fairs and the winners have over 40 million points. I play every day and harvest 3x a day and not been able to pass 1.5 million.